New York (NBC NEWS) – An eight-year-old boy named a superhero after defeating a brain tumor with the help of St. Jude . 19659004] Cameron Scott was diagnosed with a medullobastoma, a high-risk tumor that spread to his spine. "He's my hero," his father Wendell Scott told TODAY's Kerry Sanders. and Giving, a series that sheds light on the life-saving work of St. Jude, Cameron, and his family shared their journey. "I feel incredible now," Cameron told Sanders. "I feel like I've gone through everything." "It was like an out-of-body experience," said his mother, Tamika Scott, to Sanders. "First they showed us back and spine and the doctor who looked at the pictures turned to the other doctors and said:" I need another MRI, I need you to scan upstairs. " 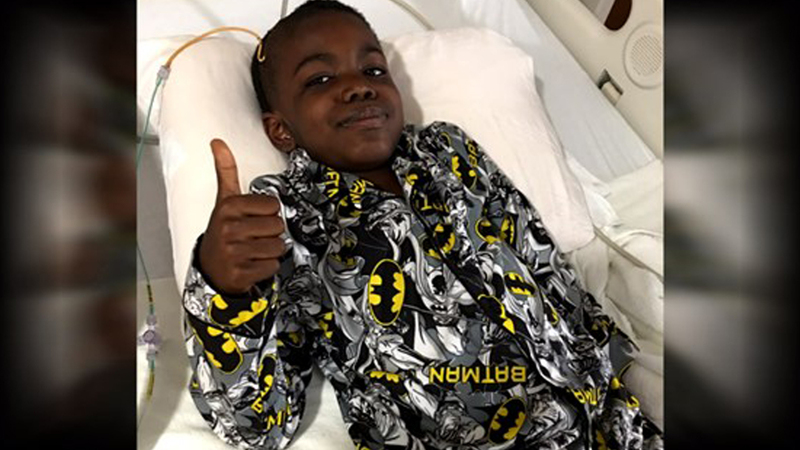 Cameron was operated to remove the tumors and then sent to St. Jude for further treatment, where St. Jude pioneered Cameron cancer gene sequencing, allowing them to prescribe targeted treatment, and doctors soon discovered that Cameron was not only one but had four illnesses.
] "I remain humble and thankful," said Wendell. To learn more about Cameron's journey, click here.